Why Is It Important To Consider Download Speed? Why Is It Important To Consider Download Speed When Designing Mobile Websites? Posted on 1st December 2011 at 11:00. 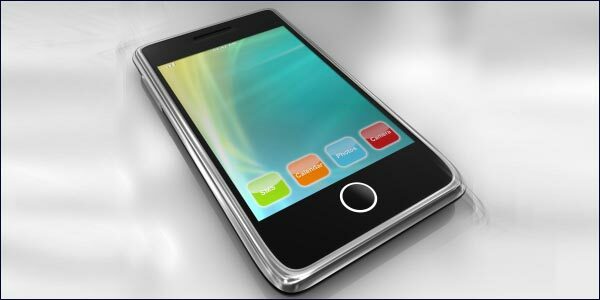 Designing any website for a mobile phone is a challenging experience. As clever as the technology of the smartphone is these days, there are still certain inherent problems that the mobile website designer has to overcome if he or she is to make the website as effective as it can possibly be. The screen size of the mobile device itself is limiting, and affects the type of content that can be incorporated into the overall design: similarly the site architecture will have to also be simplified, because moving around and navigating mobile websites is much more difficult on a mobile phone than a conventional desk top or laptop. One thing that is often overlooked is the relevance and importance of download speed. As smart as a ‘smart’ phone is, it can’t download and process information currently at anything like the rate of a traditional pc. It is considerably slower, and therefore this needs to be born in mind by the web designer. How much slower is mobile phone download speed? On average, UK users achieve a mobile internet download speed of 1.5Mbps, compared with 6.2Mbps average fixed broadband download speeds according to a recent report from Ofcom. Ofcom consumer research shows that 17% of UK households are using mobile broadband to access online services, with 7% using it as their only means of internet access, compared with 3% in 2009. For those people using mobile broadband as their only internet access, 1.5Mbps bandwidth is still significantly lower that the minimum 2Mbps fixed broadband speed in the Digital Britain report. In fact, the Ofcom research found that on average, mobile broadband services perform worse than all the fixed-line broadband services measured in the same period. Average mobile broadband download speeds are around a third of the average speeds offered by “up to” 20/24Mbps DSL broadband services. The research involved more than 4.2 million tests, measuring average speeds as well as the performance of the five mobile operators in areas of good 3G network coverage. Tests from broadband monitoring specialist, Epitiro, presented in the report show that basic web pages took on average 8.5 seconds to download. Again, this is much slower that users expect on fixed broadband. Best practice dictates that pages should load as fast as possible. Slow load times lead to user frustration and people will leave a site if it does not download quickly. In good 3G coverage areas, Ofcom found that average mobile broadband speeds were 2.1Mbps, falling to an average of 1.7Mbps during the peak evening period of 8-10pm. Basic web pages took on average 2.2 seconds to download. Even with a connection speed of 2.1Mbps, static probe testing showed that a 5MB music track would download over mobile in about 20 seconds and a 250MB video file (for example a standard definition 30min TV programme) would download in about 17 minutes. Mobile download speeds are not likely to become any quicker until 4th generation mobile phone technology is delivered and this could well not now be until 2013. In the meantime websites continue to run the risk of loosing dissatisfied users. Can anything be done to overcome this problem? How To Develop A Successful Business Website Design For Mobiles.Search Or Social, Life Doesn’t Have To Be Lived In Black And White.